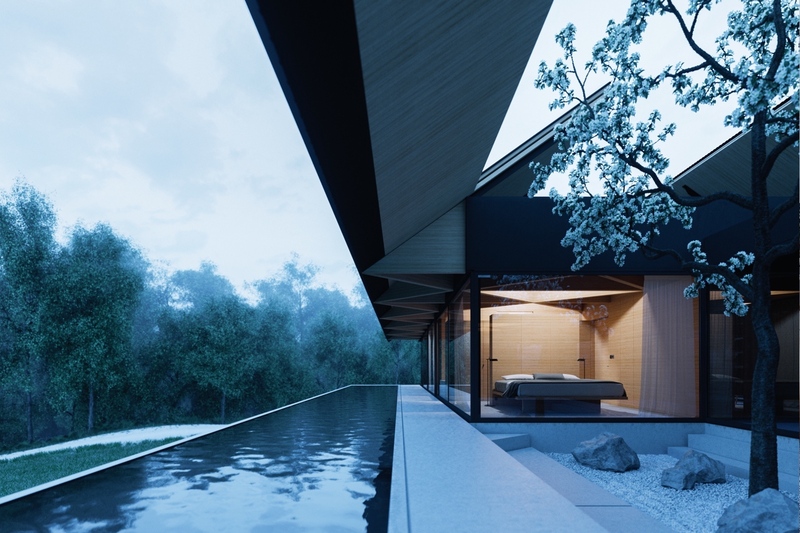 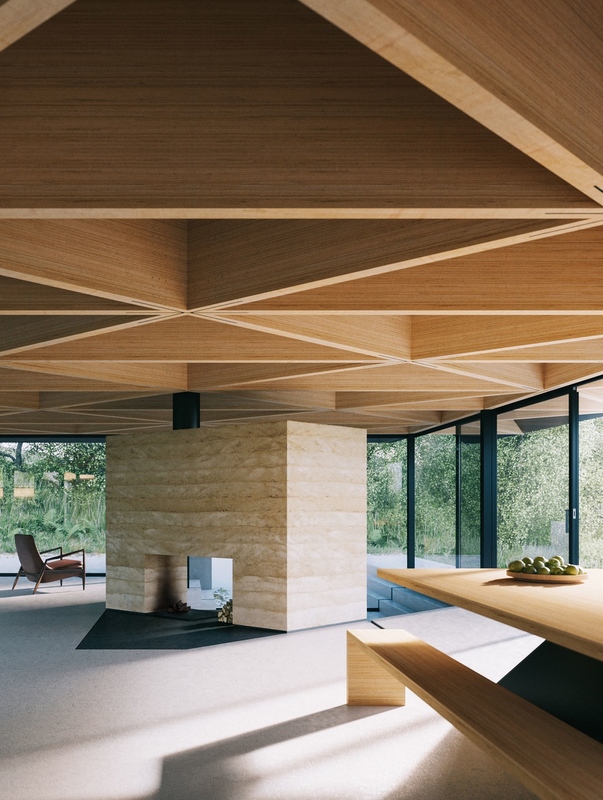 Equipoise House is a celebration of the raw magic of water, intimately designed for our client whose life and success revolves around a deep love of the ocean. 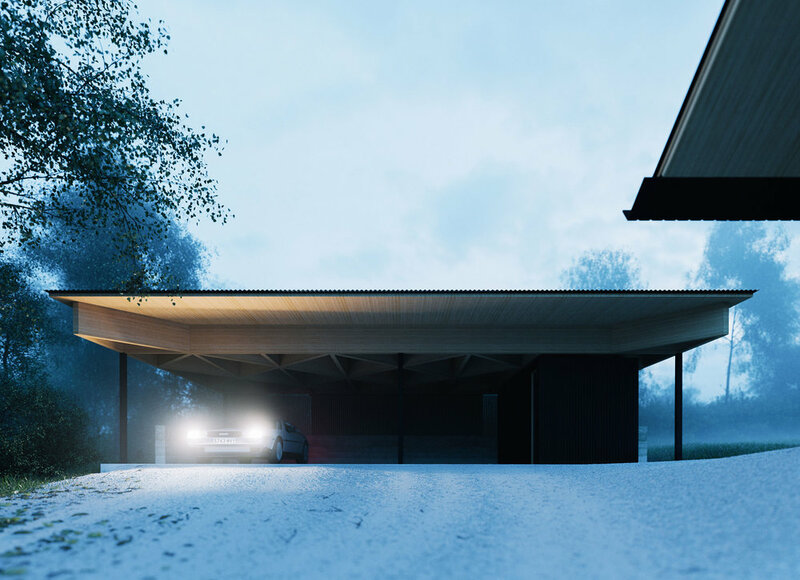 Located on the edge of the Quantock Hills in Kingston St Mary, Somerset, the 4 bedroom 220m2 project features a post-surf outdoor shower that connects to a meditation core, plunge pool and sauna. 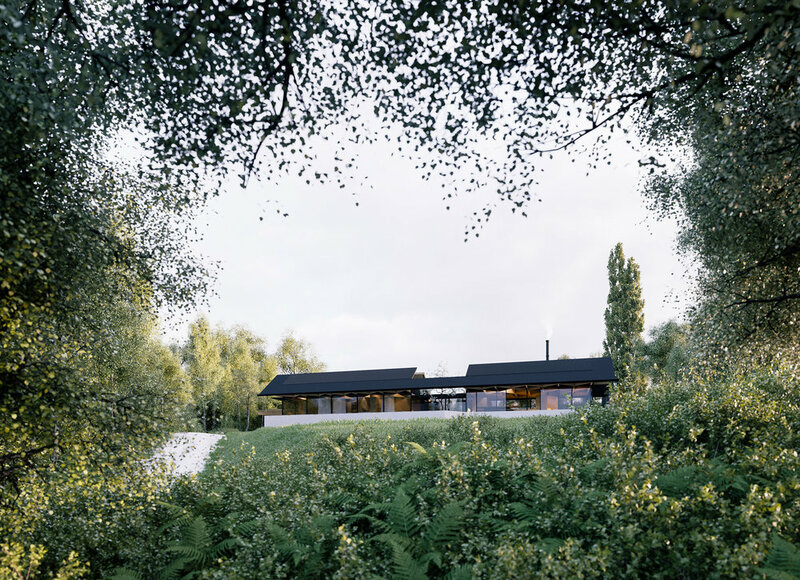 The home is bordered by two freshwater monolithic lap pools, fed from rain clouds above and filtered through symmetrical roof petals of corrugated black steel.